The Plum Ginger Jam is made and in the jars! 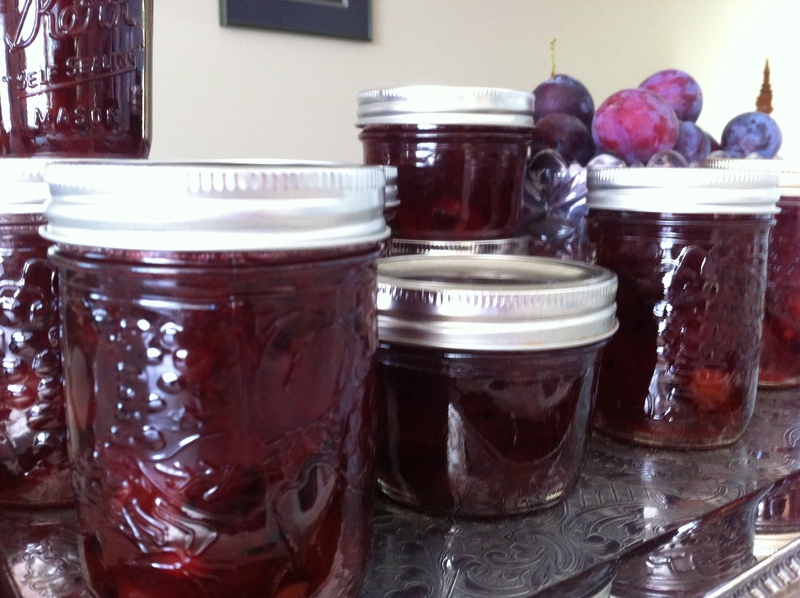 The variety of plums I used are Queen Anne’s and Prune Plums, all grown on our property. We also grow yellow plums and I made jam from those golden beauties earlier in the summer as they are the first to ripen. The Queen Anne’s are the next and finally the Prune Plums. We have had such a fantastic summer here in the Pacific Northwest that everything has ripened much earlier than usual – by two to three weeks! I love the color of the jam against the beautiful vintage silver tray the color combination would be stunning for a fall or winter look in any room, I`d call it winter hibernation, it would be an excellent combination for a coat sweater as well. Back to the jam, some people (me) love this jam on fresh raisin bread or an orange raisin scone while still others prefer the jam with something more savory like cheese and crackers accompanied with a glass of wine of course. Or maybe with a plum wine martini? 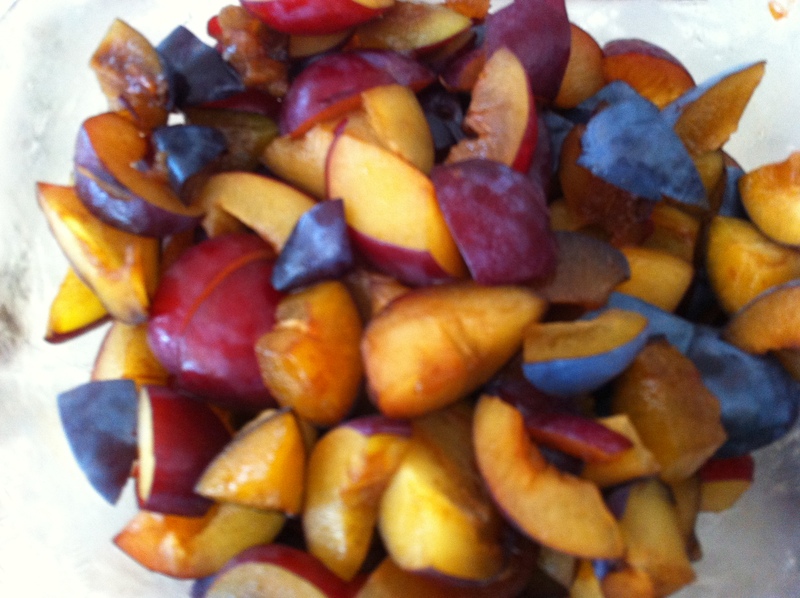 more on that topic later…..
Plums all chopped and ready to go.